In my previous post I talked about some tools that have helped me improve my quilting in the past couple of years. After the post, I wondered why I didn't include thread. Here are some thoughts. My goal, when I first started quilting, was to make my money go as far as it could by buying all of my supplies on sale. I was a young mom, staying at home and trying to be responsible with my money and to my family. I bought a lot of supplies at a national chain fabric and craft store and I was always happy with my purchases and what I was using. I had a large variety of thread colors and never really thought that using a different thread would make a difference in my quilts and quilting. So for almost 16 years, I sewed with the cheapest cotton thread I could buy. Fast forward to meeting my friend Shayne, a fellow quilter. Shayne swore by Aurifil thread. "She's just over exaggerating," I kept thinking to myself. She needed to be cost conscious because her husband was still in school but still swore that the cost was worth the thread. 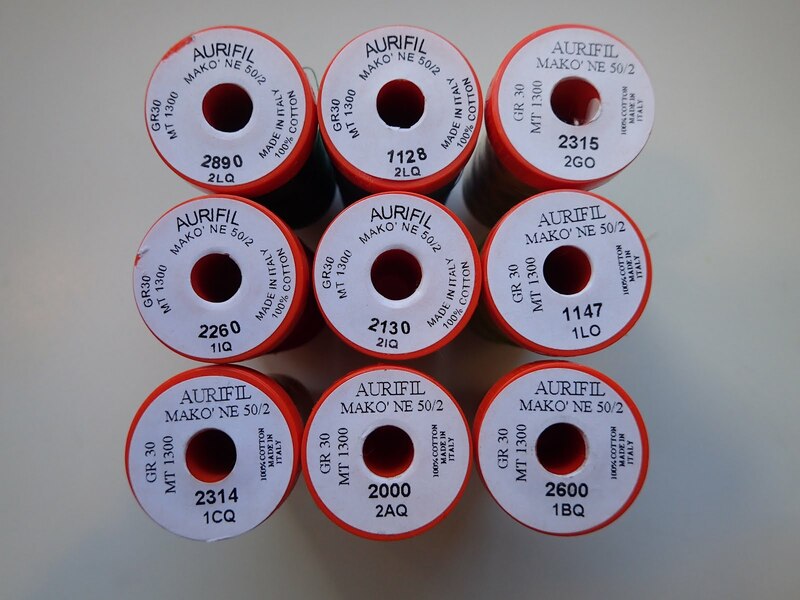 After several comments by her over many months, I was preparing to make my Any Direction quilt, and I decided to take the plunge and spend the "big bucks" on Aurifil thread. Guess what happened? I never went back. 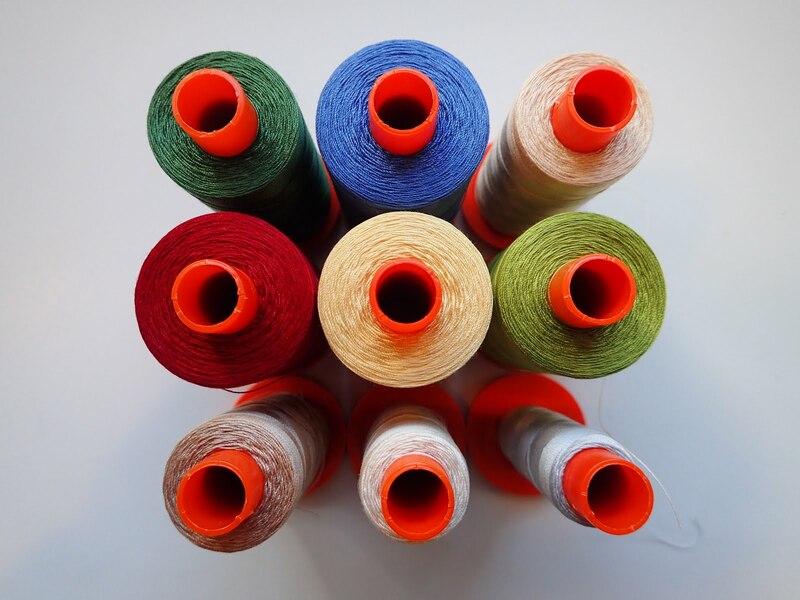 It has been my goal to find this thread in as many colors as economically as possible. I watch for sales and have gotten great sets and deals on individual spools on Craftsy. But there have been times when I needed to get just the right color and headed to my LQS and paid full price. It's that good! And if you're wondering, no, Aurifil isn't paying me - haha. Very little lint. Until I started sewing and quilting with Aurifil, I had no idea how much lint I was generating from the thread. I like less lint because it does not clog up my machine or get all over my quilt. Minimal breakage. Here's the thing, I thought the thread breaking was something I did - not what I was using. Surprise! I do not have to deal with that issue hardly ever. Long Lasting. Shayne told me I would be surprised at how much sewing I could do with a spool of Aurifil. 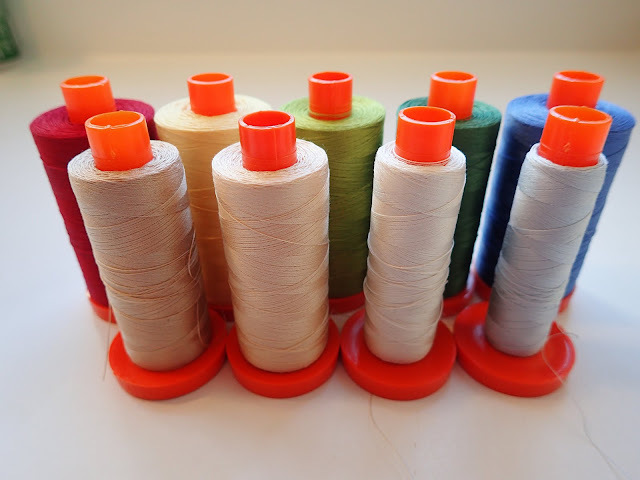 It's a little like magic how long a spool lasts. Very smooth. Silky. Soft. Frictionless. Okay, I will stop with the synonyms, but you get the point. A year ago, I was searching for information about thread and came across this blog post by Nancy Purvis of Owen's Olivia. She has pictures of many threads magnified. It's really cool! From her article, I see that there are other quality threads I can try - and other quilty friend swear by other threads.